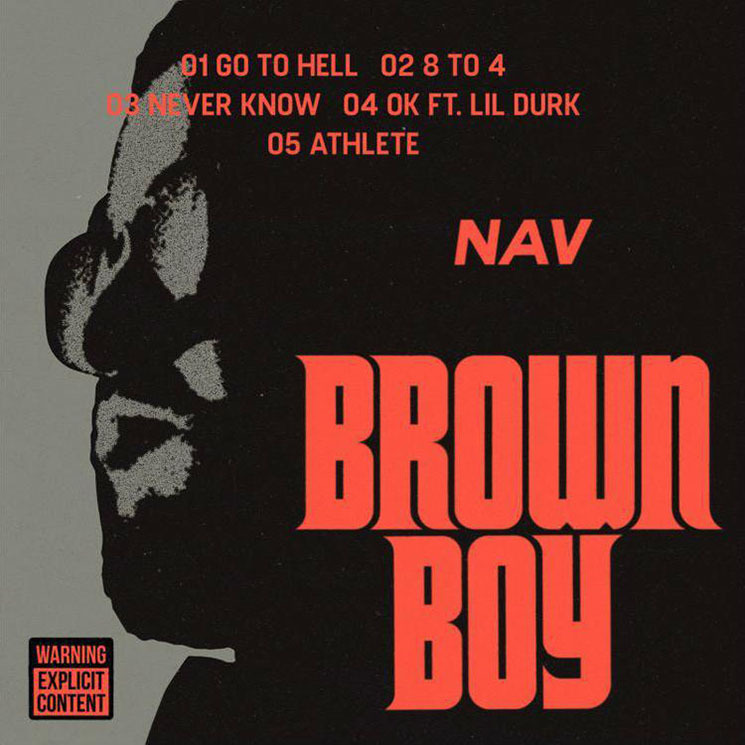 As NAV prepares to release his forthcoming album, Bad Habits (executive produced by the Weeknd), the XO Records co-founder thought it was the right time to surprise fans with five-track EP Brown Boy. Released via digital streaming platform Audiomack, manager Amir "Cash" Esmailian joked on social media that he was tired of "waiting for him to come out of retirement," a knock at Nav's recent statement that he was also going to retire, after Lil Uzi Vert said the same. In the course of the 15-minute project, the Rexdale artist flips between simple A-B rhyme schemes and catchy, albeit rambling, hooks. Much of the content seems familiar to Nav's older work: stories of not being accepted, having money to buy acceptance and the jealous that comes with it — though none of this is brought forward refreshingly. As opposed to a 9-5, Nav speaks about never having to have an "8 to 4" again and trappin' to make the money he needs, while the Lil Durk-featuring "Ok" pushes this narrative further, though juxtaposes street activity with the lavish life he's now living — one that's a far cry from the life Nav chooses to speak about, which is expanding upon on the nasally "Never Know."